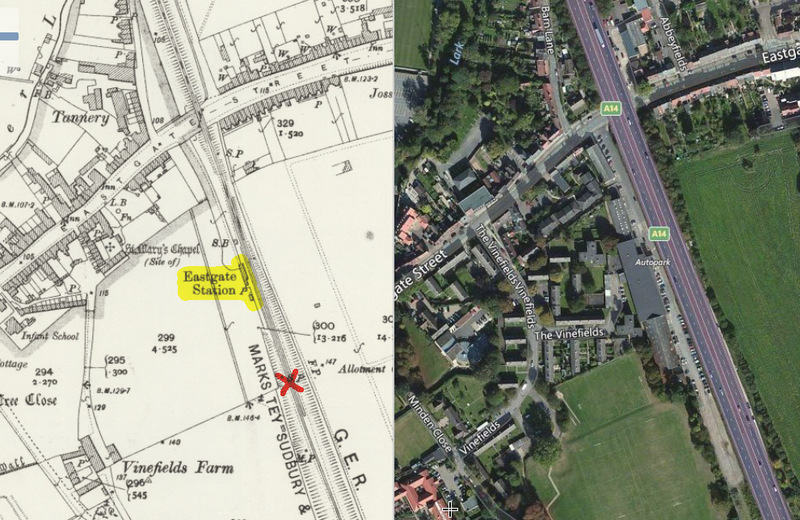 The station was originally under what is now the major A14 trunk road, and the map below shows not only the original position of the station and the cache (X) in relation to it (NOT ACCESSIBLE FROM THE A14), but also shows a modern aerial view of the same area. Bury St Edmunds Eastgate railway station (originally known as Eastgate Street) was a station on the Long Melford to Bury St Edmunds Branch. It was opened on 9 August 1865 and closed on 1 May 1909. The station had a single platform on the down side of the line, and the station building was a rectangular single-storey building of timber construction with a slate roof. Although Eastgate station never handled goods traffic, there was a siding opposite the platform and a signal box was provided at the north end of the station on the down side, probably around the end of the 19th/beginning of the 20th century. 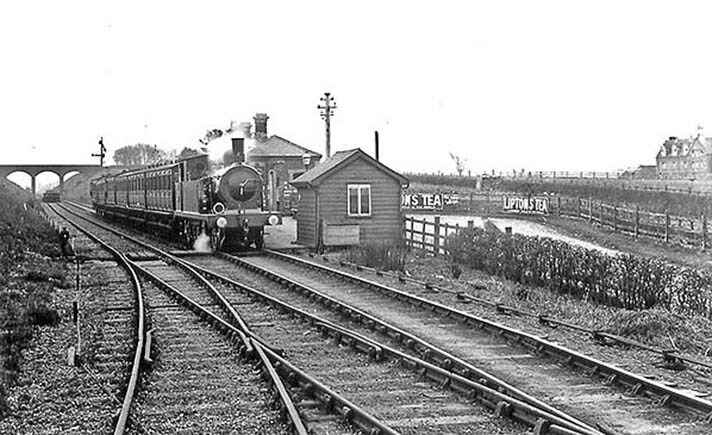 Although the station closed in 1909, it was used in July 1914 for the Suffolk Agricultural Show. By the mid-1920s the station had been demolished and the siding removed, but the signal box remained in use.